Friends. Good food. Wine. Three Guidebooks. No plan. 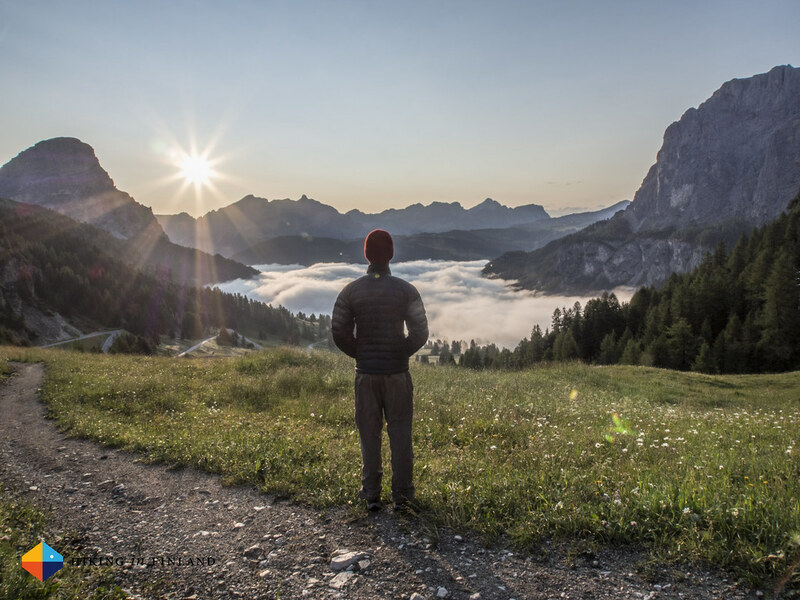 Equals a fantastic time in the Dolomites. 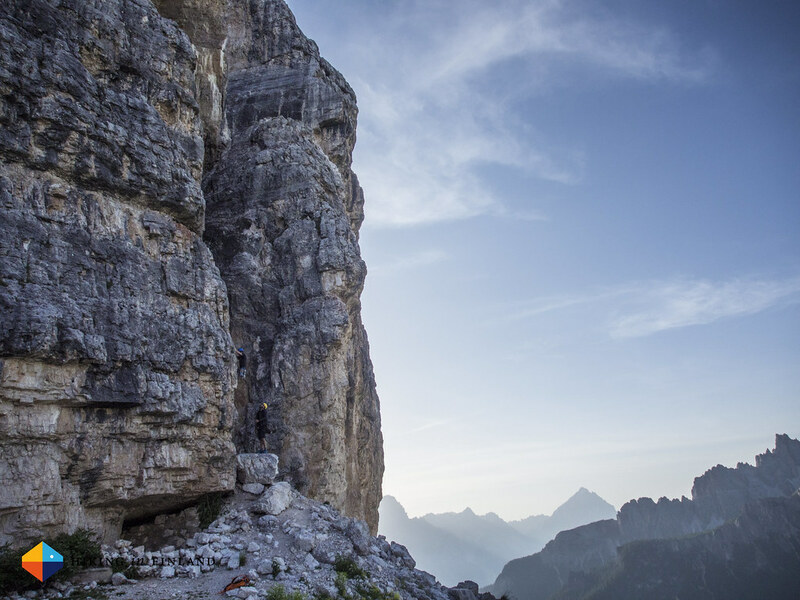 In March I let you in on a well-kept secret: That I will be going to the Dolomites in July. With four friends. A rental car. 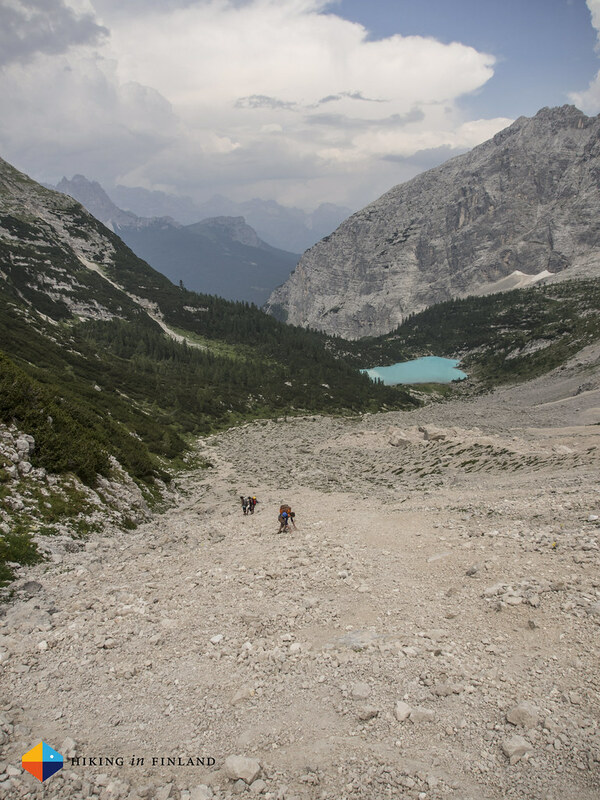 An obscene amount of climbing, camping, Via ferrata and backpacking gear. So obscene that I needed to ditch one of my twin-topes on my mate Stu, with whom I was flying out of Helsinki way to early on a Sunday morning. A good thing that a sweltering heat was welcoming us in Venice, as well as our three companions and a rental car. Packed to the brim with only a dim idea how to get to Cortina we directed our vehicle North. 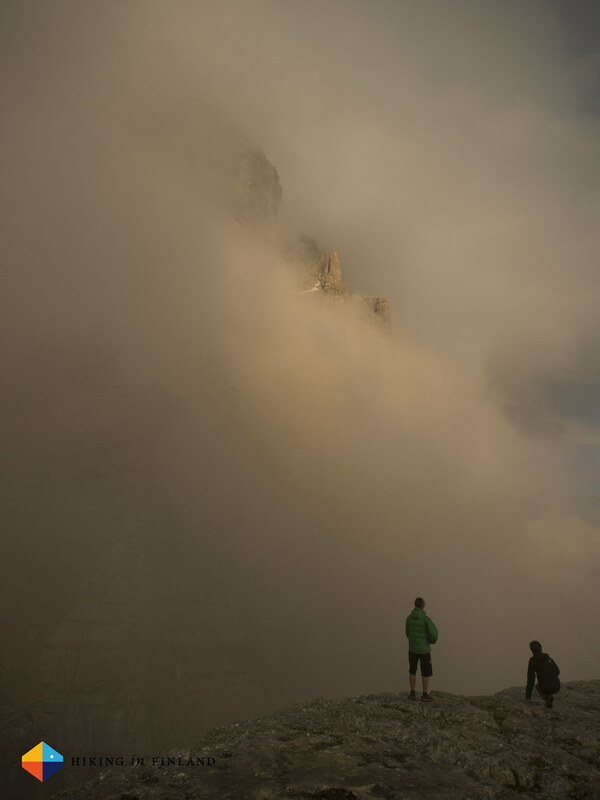 And somehow I was able to navigate us securely to the Rifugio Cinque Torri. Gorgeous, stunning, breath-taking, I love it, where words that were uttered after the engine was switched off. 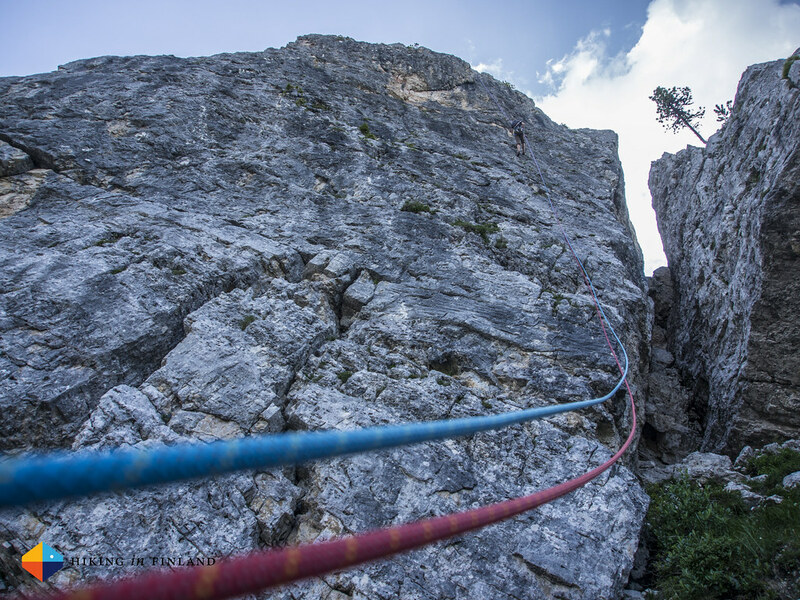 We lost no time and shouldered ropes and climbing kit and hit the first crag, Torre Quarta Bassa. An easy 6a/ 5 Multi-Pitch route was picked for warm-up by Stu and me, as well as popping our Multi-Pitch Cherries. Our vocabulary soon was enhanced by meaningful phrases like Where’s the next bolt? and That’s not a 5a! 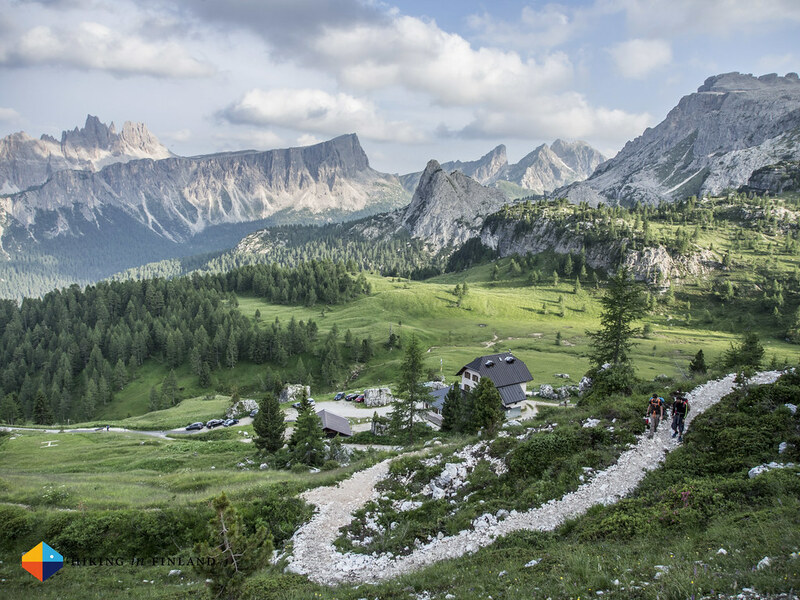 As the sun was making the five beautiful towers of the Cinque Torri draw long shadows on the meadows we were rappelling down, walking back to the Rifugio. Dinner was calling, and so was the wine. 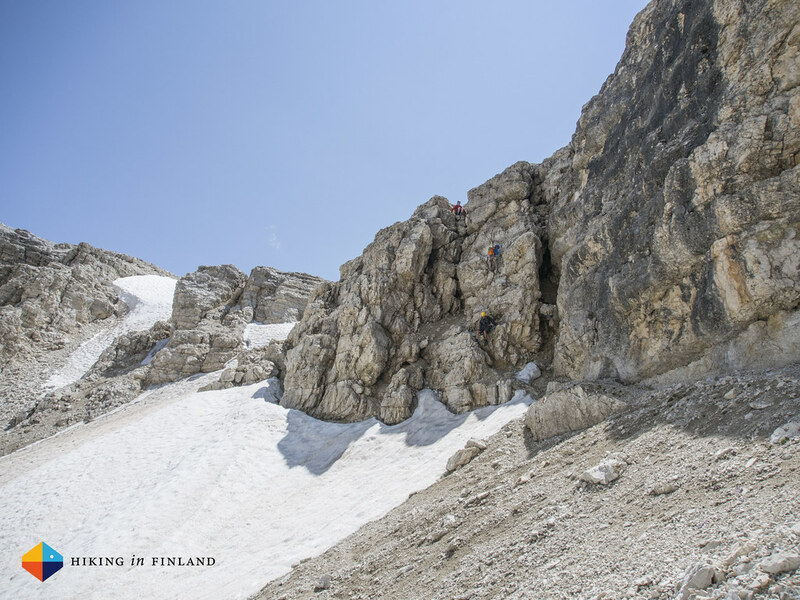 It’s common for climbers to get up early, and so we decided on a 6 o’clock start to climb a route on Cima Grande’s Southwest Face, which gets backed in the sun during the day. Rosamunde was climbed by Sam, Stu and me, and then breakfast was calling us back. Yes, half-board at the Rifugios is mandatory and highly recommended. Stu and me were the Multi-Pitch team, and as we were in the company of a battalion of Italian soldiers it was the Via Normale on Torre Inglese which we climbed. 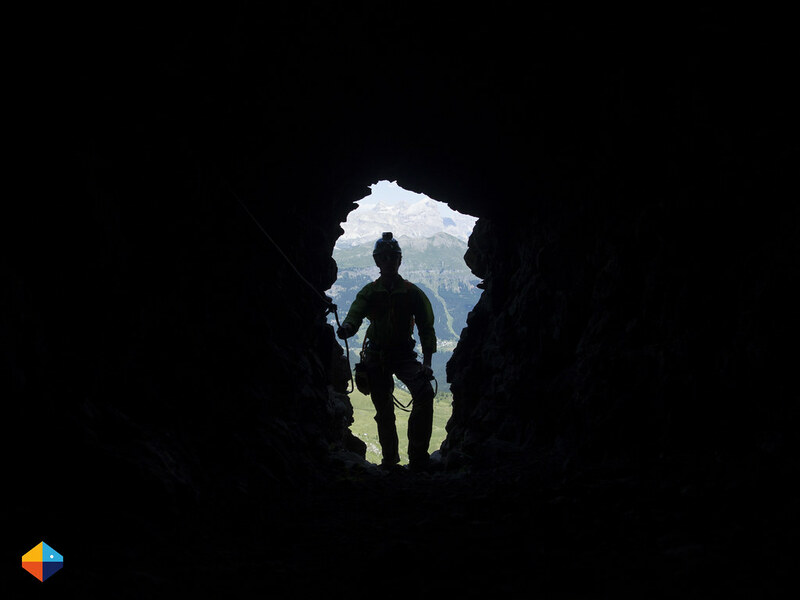 There was exposure, sweaty palms, smiles, running it out, more smiles, squeezes and a hard-earned summit with trad gear. More smiles, two abseils and then some Apfelstrudel and Cappuccino. A few easy climbs at the School of Rock sector on the way back to a hot shower and a slab attempt that ended with the rain. Doesn’t matter, because there’s wine, dinner, card games, laughter, sitting outside and taking in the view. 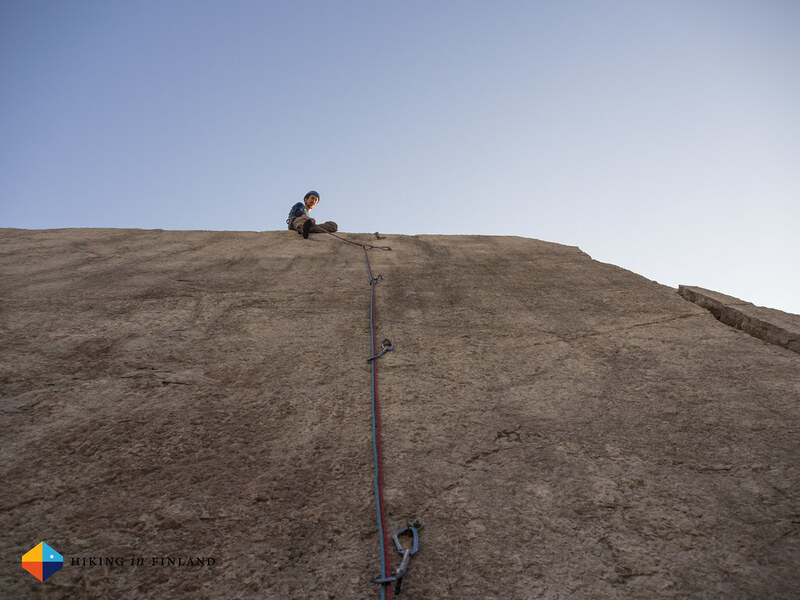 The next morning it was up before sunrise at 5 o’clock and another attempt on the slab. Stu on-sighted it, I failed, and so it was back to breakfast, packing up and heading onwards. A resupply in Cortina and we drove onwards. The Sorapiss Circuit was The Plan™. Car parked, backpacks with bivy gear shouldered and onwards we went. A coffee at the Rifugio on the way and up that lovely scree field in the 30°C heat. It was getting late, the clouds were closing in, and so we stayed put at the end of the world. A un-secured hike 1000 m over a valley on narrow ledges was to be done fresh & full of energy. The thunderstorms hitting us shortly after the bivies were rolled out made us congratulate ourselves for our smart decision. It was early to bed, sleep in, lightning storms all night. As the sky cleared in the morning we decided against the sketchy approach, strolled back and drove to mountains with fairer weather. 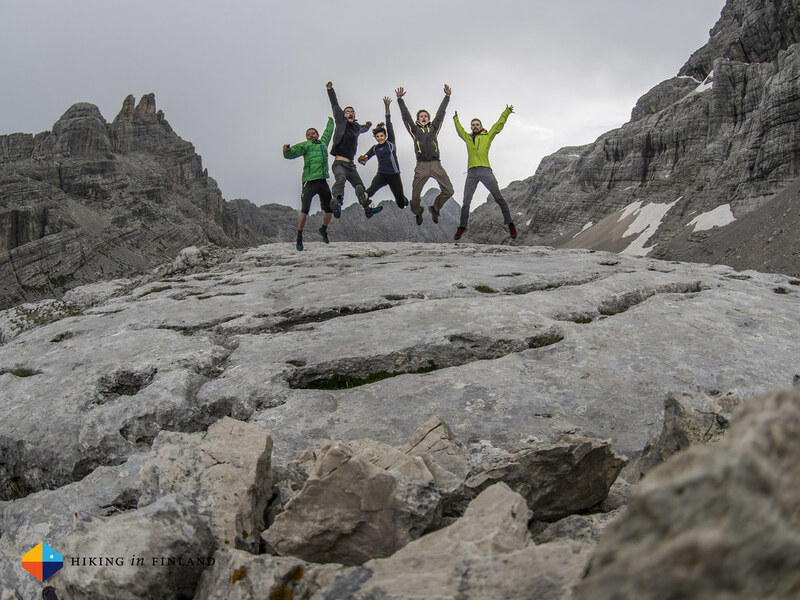 We found it in the Val Gardena, where we rolled out our sleeping bags on the Parking lot, shared wine with other campers and were looking forward to the Via Ferrata Brigata Tridentina. The next morning a cloud inversion in the valley (yeps, the opening photo) made us dally around, but we were still in good time on the Via Ferrata and topped out happy at the top. A Kaiserschmarn later Matt, Sam, Stu and me explored the high plateau before it was back to the valley, which involved more scree, steel cables, snow fields and the urge to run it all down. 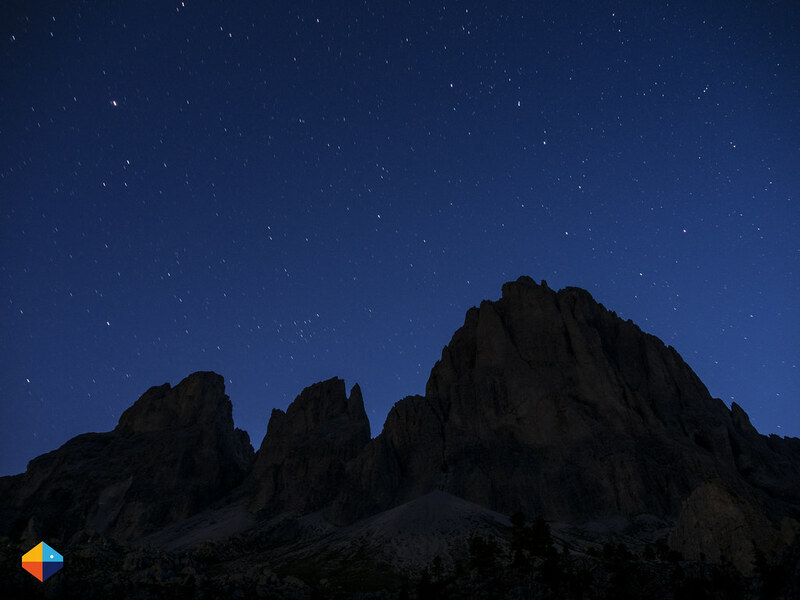 I rolled out my bivy under a Boulder Problem called Sella benath Sassolunga that night, taking in the fine view of a star-filled sky. Easy climbs ensued the next morning after breakfast, followed by a check in to the fine Rifugio Carlo Valentini. A private bunk room, warm showers and more climbing followed by more showers followed, topped by a delicious dinner which had us wonder if we understood the quoted price right. 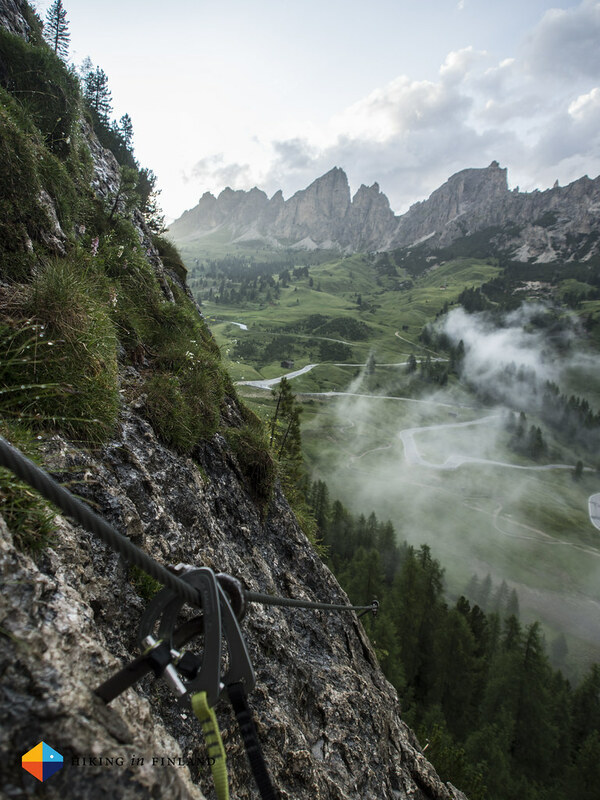 The next morning saw us drive our car to the start of the Via delle Trincee Via Ferrata, the most difficult Via ferrata yet. 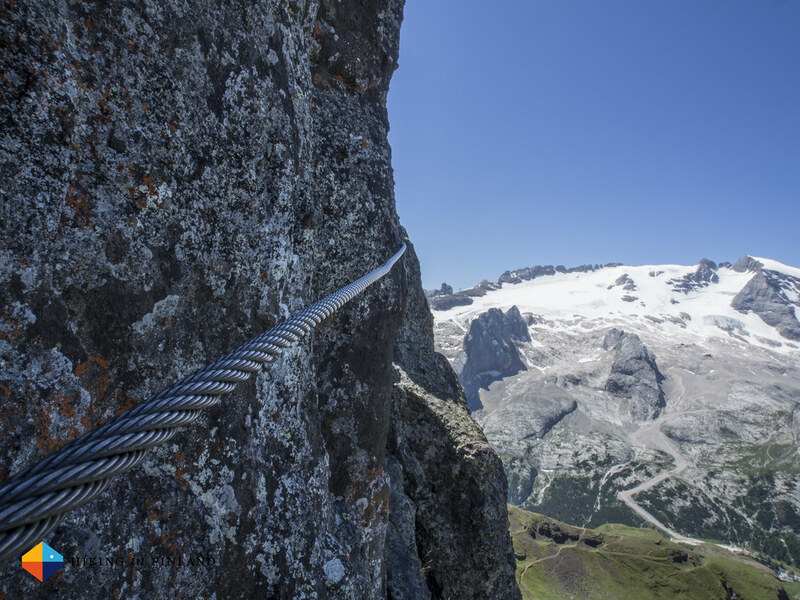 An inexperienced Via Ferrata-ist before us had us wondering if we weren’t pokering too high, but as climbers we dispatched the first difficult bit in no time and hence enjoyed in peace the rest of the Via Ferrata. 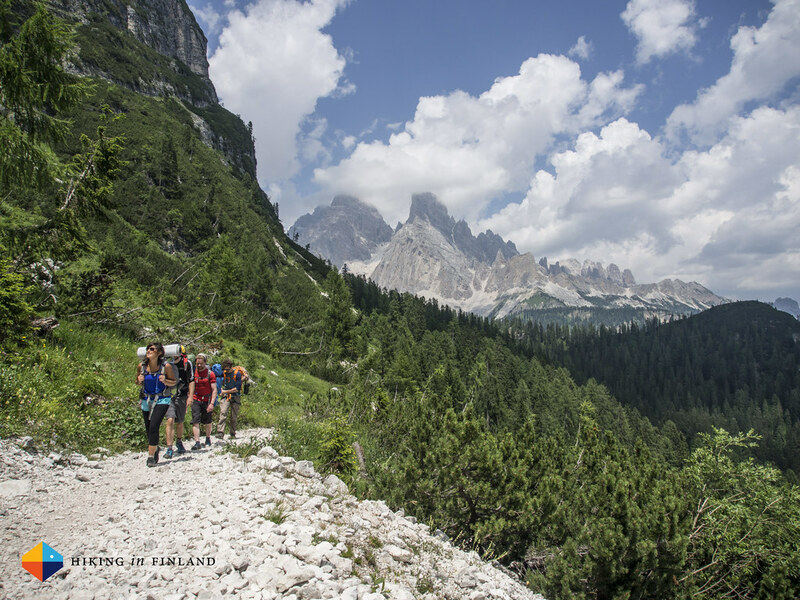 Suspension bridges, views on the Marmolada, ridge walks and caves made for an atmospheric hike. Just the long, steep walk back, we could have done without it. And that was it. A long, or rather short night later I was on my way to the SOA Jury Meeting and the OutDoor 2015, while my good friends travelled on to other parts of the world. 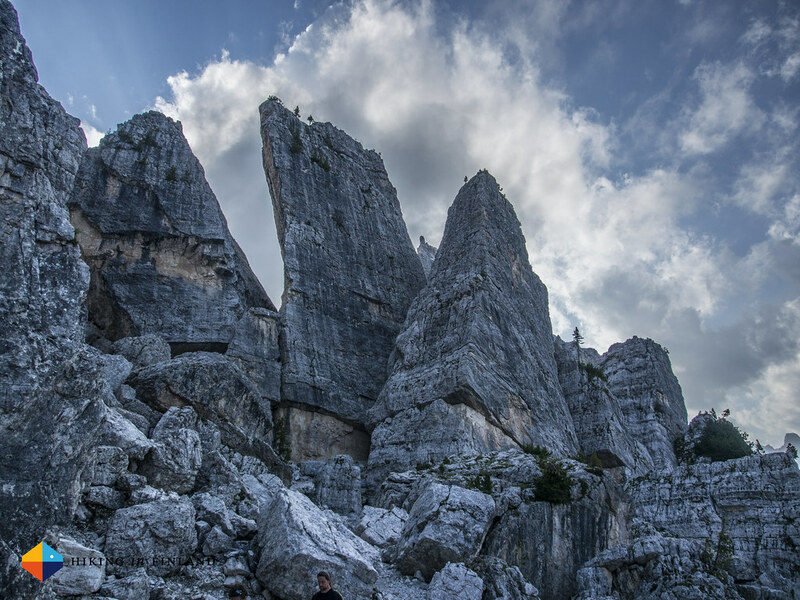 But we were sure of one thing: That we loved the Dolomites, and that we will be back. 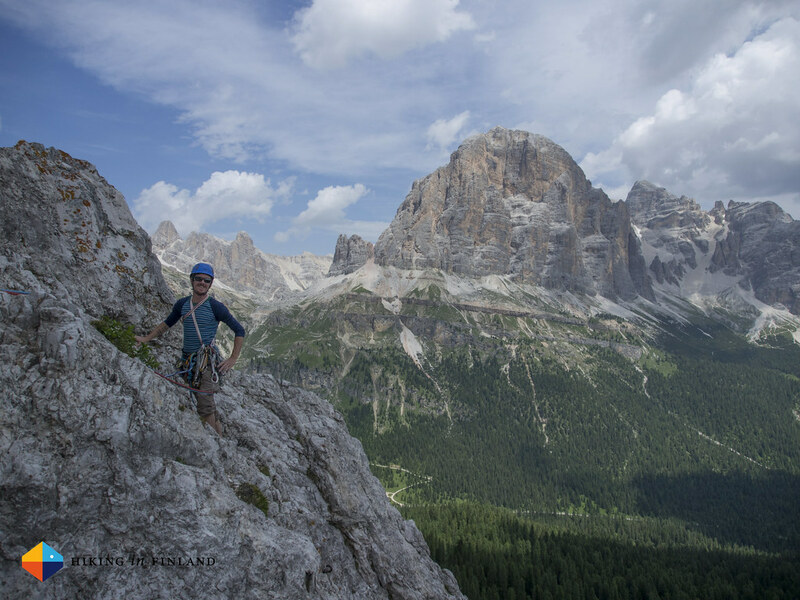 And if you like mountains, good food & wine, great climbing and fun Via Ferratas, you too should pay the Dolomits a visit.